This is the continuation and the second part of 15 most memorable TV couples of interracial dating. Although, Britta Perry used to like disgraced lawyer and fellow classmate Jeff Winger towards the show’s beginning, but overtime she started being attracted to Troy Barnes. Initially, Troy and Britta did not wanted to disclose their relationship in front of others and tried to keep it a secret, but they were not able to hide it from their study group. Troy (played by Donald Glover) and Britta stayed together, till Troy left the show in the past season. At first, when the show first debuted, Jason Pitts, the San Diego Sabre’s star, was happily wedded to Kelly, his wife and the mother of his daughter. However, with time both of them grew apart and ultimately broke up. Brittany Daniels, who plays the role of Kelly, revealed that her character was deleted from the show because she was suffering from a serious medical disease – cancer. But, when Kelly returned to ‘The Game,’ Jason stopped his own marriage to his second wife, with whom he eloped, namely Chardonnay, in order to proclaim his love for his wife number one. ABC’s ‘Modern Family’ is one of the shows to which audiences quickly related with atleast one couple out of the three. The show starred three couples, including one typical family with a wife, husband, and three children, a May-December romance with a younger Latina wife and an older white man, and a gay couple. Gloria and Jay were similar to many real life couples in more than one ways. Jay played stepdad to Gloria’s son who was from her last marriage, before both of them welcomed their own son. ‘Happy Endings,’ a show that aired for only three seasons, got instantly popular with the audiences due to the show’s married couple Jane and Brad Williams, which was played by Eliza Coupe and Damon Wayans, Jr. Although, the show immediately got famous at first, its ratings declined enormously in its third season, chiefly because of an unpredictable shift in its schedule. ‘Happy Endings’’ madly in love couple, Jane and Brad Williams, often showed their affection and love for each other openly in front of others, regardless of who was in the room, which was very shocking for their four friends. 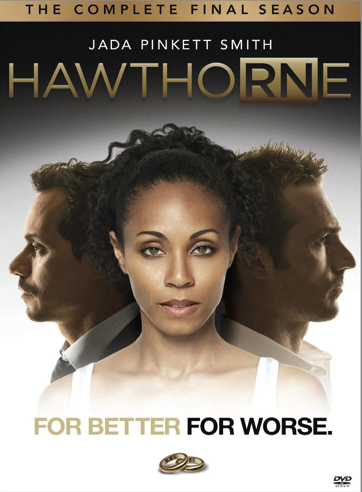 After taking a long break (last seen in ‘A Different World’) from the small screen, Jada Pinkett Smith returned after 16 years with the TNT drama ‘Hawthorne,’ in which she starred and also executive produced it. Pinkett-Smith played Christina Hawthorne, who was the head nurse at a clinic in Richmond, Virginia and a single mother. In the show, she has a steamy and hot affair with Nick Renata, the Detective of Marc Anthony, which was nothing close to her romance with Dr. Tom Wakefield, the chief of surgery. However, in spite of the show’s popularity, it abruptly went off air after its third season. 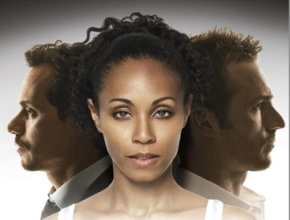 More stories of black women white men dating or white women black men dating will come.